For all you wonderful women:Happy Women’s day! Today is the International Women’s Day. It is a major day of global celebration of women. In different regions the focus of the celebrations ranges from general celebration of respect, appreciation and love towards women to a celebration for women’s economic, political and social achievements.The first International Women’s day was observed on March 1911 so this year we celebrate the centenary. 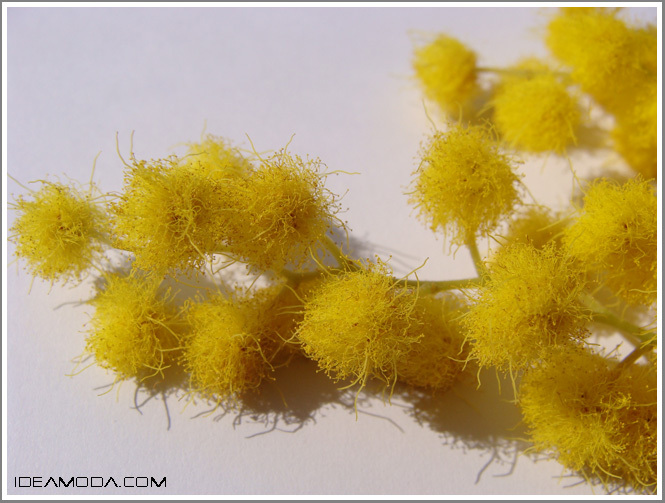 In Italy the mimosa flower is a symbol of Women’s Day. It was 1946 when the U. D.I. (Union of Italian women) was preparing the first “March 8” after the war.They wanted a flower that could distinguish and symbolize the day. And the Italian women were found in the soft balls that lit up the fragrant mimosa symbol of the party of women. In addition, these flowers had (and have) the great advantage of blooming just at the time of the party and not to be too expensive. 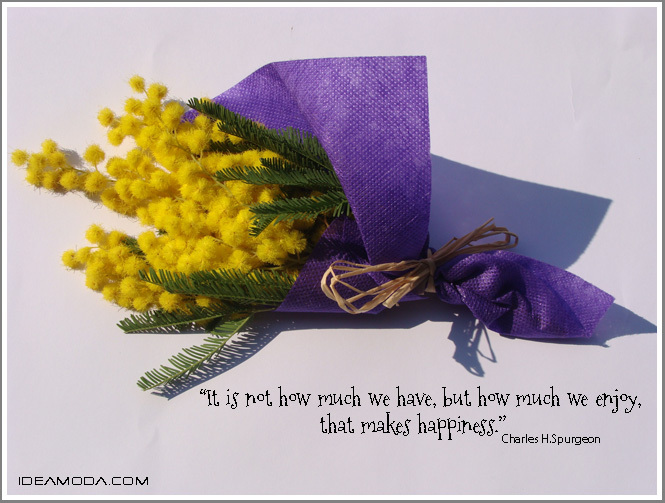 I got my little mimosa bouquet today and now I’m enjoying the strong and beautiful yellow colour of these flowers as well as the nice fragant…Have a great day!